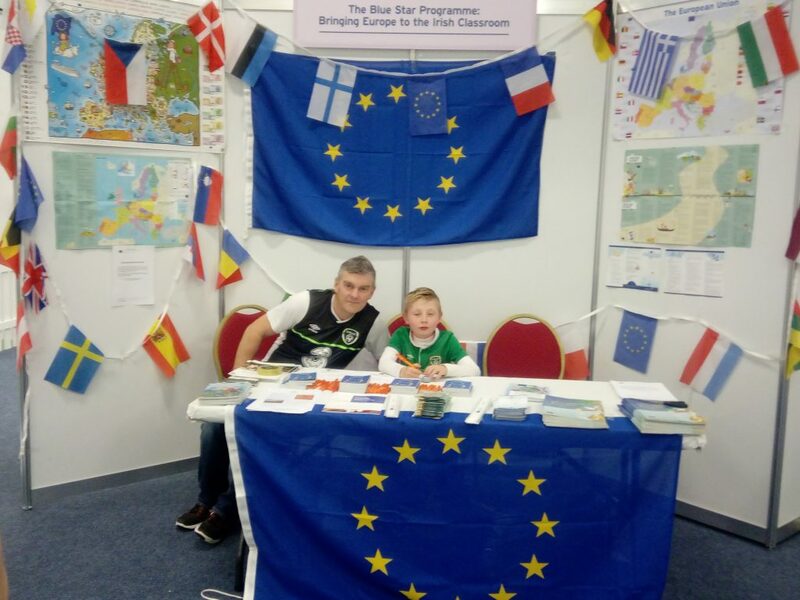 We were delighted that Peter Kane, a Blue Star Programme Champion teacher from Galway, was able to showcase the Blue Star Programme at his stand for Féilte 2017. The annual Teaching Council Feilte Conference was held on the in the RDS on Saturday, October 7th. There were over 1,000 teachers in attendance, with the majority being Primary Teachers. The theme for the event was ‘Leading Learning for All’, and the Blue Star Programme stand was one of 50 teacher-led showcases and workshops spanning projects from across the education sector, demonstrating the innovation happening in teaching and learning in schools across the country. 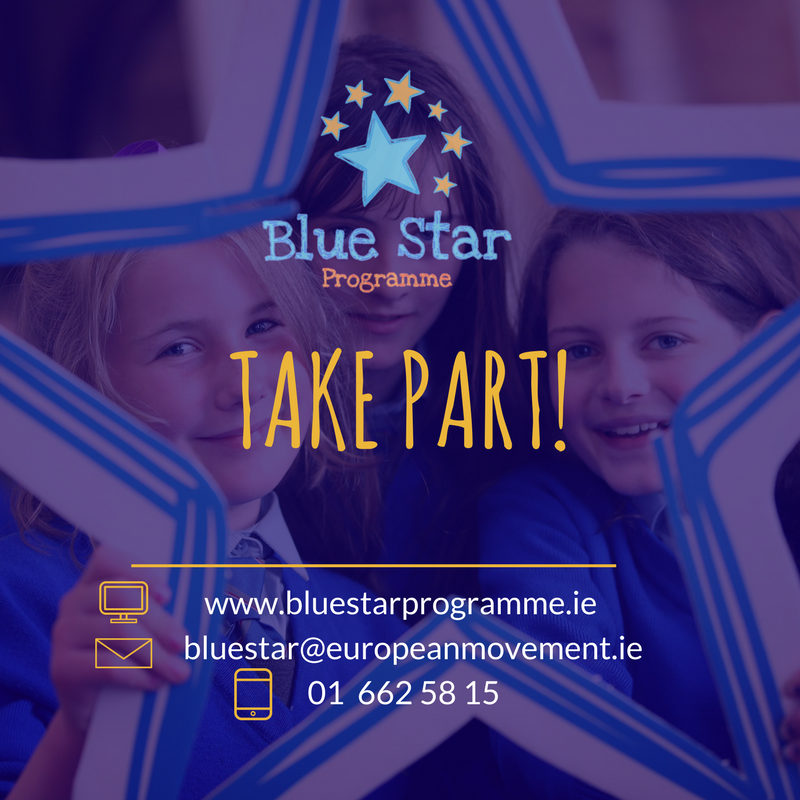 As a keen advocate of EU educational projects I was delighted to attend and to showcase the Blue Star programme. I was assisted by two 6th class pupils who travelled up for the day with their mums. We set up the stand the night before. We had an extremely busy day with huge numbers of teachers looking for information and availing of the Blue Star Programme information literature available on the day. Both pupils, Ronan and Nathan, were super and their enthusiasm was infectious throughout the day. It is great to get the pupil perspective as it is of course they who do all the work in such projects! We basically outlined the programme structure and the cross-curricular benefits of participating in a programme which should fit neatly into the school year without much additional work. Teachers simply don’t have time for programmes which take up a lot of additional and invaluable class time, so we stressed the flexibility and ‘do-ability’ of the programme. Overall a great day and it should certainly raise awareness in many schools who were previously unaware of such a programme. Overall a perfect showcase event for any organisation to highlight their programme.